Another day, another teaser. Mercedes is now previewing the A35 with an extremely short video providing us with a better view of its forthcoming hot hatch. 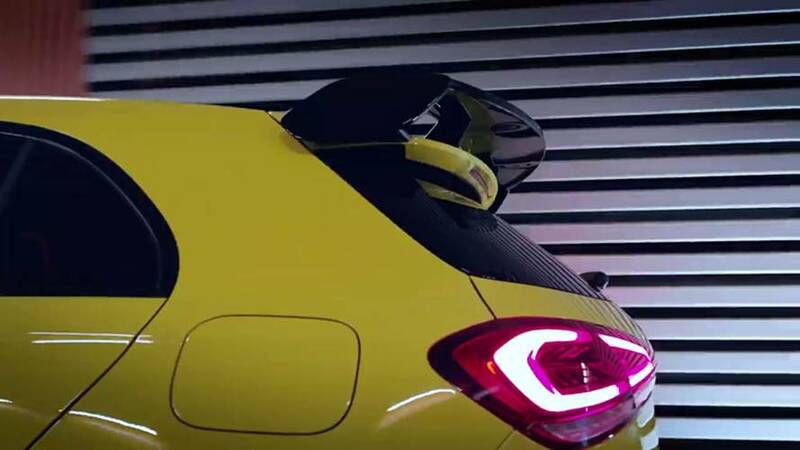 The official reveal is likely right around the corner taking into account the folks from Affalterbach have really kicked things up a notch in terms of teasing their answer to the VW Golf R and Audi S3. With a big wing at the back and aero flicks at the front, we can’t help but wonder whether this is more than just a standard A35 4Matic. Maybe it has an aerodynamic package or some other type of optional kit – we just don’t know at this point. It looks quite aggressive and we have to remember this is not the sportiest version of the five-door compact hatchback. 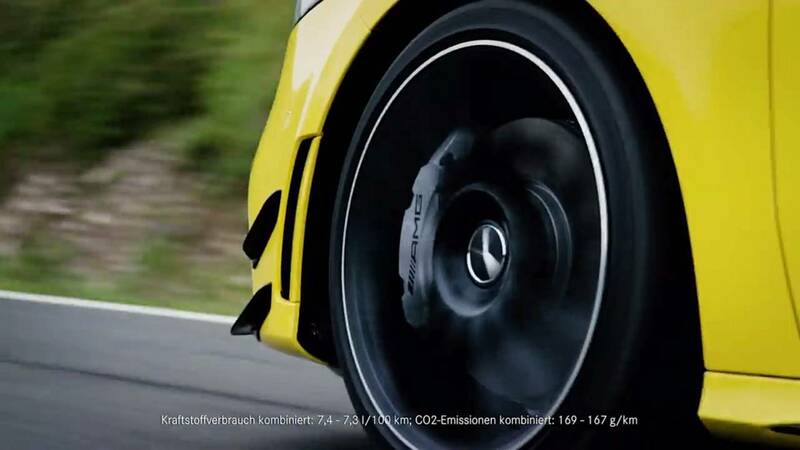 That role has been reserved to the A45, which has already been confirmed to spawn an even hotter A45 S.
What we can tell by looking at the adjacent clip is the car has shift paddles behind the steering wheel, so the car is rocking an automatic transmission. An educated guess would be the seven-speed, dual-clutch ‘box available in the lesser A-Class models, but probably tweaked for a quicker response to improve acceleration. No word about performance just yet, but it goes without saying the A35 4Matic will easily eclipse the A250 4Matic. The latter needs 6.2 seconds to complete the 0-62 mph (0-100 kph) run and tops out at 155 mph (250 kph). It has 221 hp on tap coming from a turbocharged 2.0-liter engine whereas the beefier version has been confirmed by AMG boss Tobias Moers to pack around 300 horses. Expect the wraps to come off in the coming days, but only the hatchback will be revealed ahead of its public debut at the Paris Motor Show early next month. 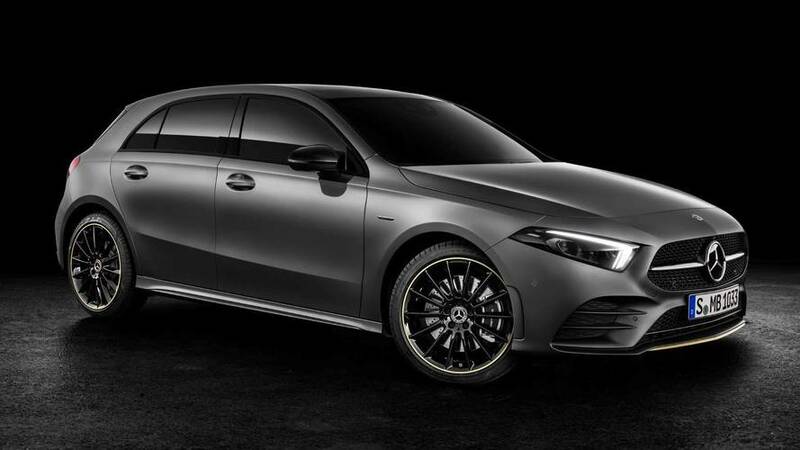 The equivalent Mercedes-AMG A35 Sedan probably isn’t too far away, with the A45 models to arrive at a later date as the crown jewels of the A-Class lineup.